This post has been written by Laura, the Email Consultant here at Discussing Dissociation. She’s new here, and I’ve asked her to write some answers to the kinds of questions we might expect people to ask. HOWEVER, I am sure you will have a question of your own that has not been covered in the list of questions below. Remember those articles about interviewing a new therapist ?? Well…. this is your chance to practice those skills! What questions do YOU want to ask Laura ? In my experience, people with DID usually have a few Big Questions when getting to know a therapist for the first time. This post will try to answer a few of those questions from my perspective. Do you believe that DID exists? Unequivocally yes. I have seen it. I believe in its existence, and I believe in the experiences that can create it. There are so many different attitudes that you can meet up with in the therapeutic community regarding dissociative disorders in general and DID in particular, ranging from skepticism to dismissal to outright rejection of the disorder. You are right to be wary of how a new therapist might react to the idea of DID. You can feel free to check this out about me, but I can assure you that I believe wholeheartedly in the existence and validity of DID. Do you support integration as a goal in therapy? As a specific goal, no I don’t. If this is something an individual feels strongly that they must work toward, then we can talk about that, but my personal opinion about integration is that it’s not the ideal target for therapeutic work, and it is frankly disrespectful as a starting point. However large or small a system is, it is made up of many different stories that need to be heard. The individual members of your system need to be understood from where they are right now, and that is where I prefer to start. Simply there. I believe that this kind of foundational work with your internal system is the first and most critical task of therapy. Getting to know your system and getting your system members working together will reduce confusion and distress. It will promote self-soothing. It will explain and ultimately reduce lost time. It will help to introduce calm and stability where things felt chaotic and out of control. Those are often the goals that people want to accomplish when they begin therapy, and they don’t require integration to get there. In my experience, integrations both small and large can sometimes happen spontaneously over the course of healing work. There is nothing wrong with this. Integration should not be forcibly prevented any more than it should be forcibly attained. However, if system members feel strongly about desiring to remain separate, there is no reason to push them toward integration. What is more important is that your system is working cooperatively together. As long as this is happening, the individual parts of the system can be as separate or as merged as they prefer to be. You say you work with mind control issues. How do you know anything about that? How do you know anything about DID at all? I have not been where you have been. I haven’t experienced it myself. And even if I had, I could not know what your experience has been. Each individual’s internalized experience will be different, even if the experience itself is identical. But I have listened and shared in the stories of a lot of people who have been there. Not as many as Kathy has! She’s been at this longer than I have. 🙂 But I have known Kathy for about twelve or thirteen years now, and I’ve had the opportunity to share a little of the work she has done in that time. Even though each individual is different, there are recognizable patterns to how DID systems develop and how they work. They are not always a perfect match to every system, but they serve as a template and a starting point both for me and for the people with whom I work. In the end, I know what I know about each person because we have talked about it and learned about it together. I know what the issues are for them, how they are the same as the general template and how they are different. I listen and I learn, we study the templates and figure out how or if it applies, and we work out the puzzle together. Can an email consultation really help me? It can. Obviously it will not be the same as long-term therapy. I will not have the chance to get to know you the way I would if I were your therapist, and you probably won’t get to know me as well or feel as comfortable with me as you do with your therapist. That’s okay, though. Email consultations can still be helpful to you. * You have a specific question that your therapist isn’t sure about. Programming issues, for example, can be difficult to understand because so few people do understand them. Even very good therapists may be a little bit at a loss when it comes to programming issues if they haven’t had much experience in working with them. I’ve had more experience working with these issues than most therapists, so an email consultation can give you and your therapist some ideas on how to approach these issues in your work together. * Your therapist is on vacation or extended leave, and you would like some additional support during that time. Having your usual schedule change, and having your regular therapist less available or not available at all for a period of weeks, can be really difficult. A little extra support during those times can be really helpful. * You want a second opinion about something. Not every change you make in therapy will be huge. In fact, most of therapy is just hundreds of very small changes all strung together into something bigger, like stringing a necklace one bead at a time. But every now and then, a very big change can come along, and as with any big change, you might want to talk it over with more than one person. This doesn’t reflect a lack of trust in your own therapist, or a lack of faith that they have your best interests at heart. Rather, this is a normal and healthy thing that people often do when there is a big decision to be made. Having more than one perspective can be very helpful. It can offer additional food for thought, or sometimes just confirm what you already feel in your heart is right. * You need help resolving a conflict with your therapist. Again, this is not a sign of distrust in your own therapist, but even the best working relationship can sometimes run into disagreements or divisions of opinion. In the wider world, if you are having a disagreement with someone, you would discuss the situation with your therapist to help you sort through your emotions and decide on the best course of action, but what do you do when the disagreement is WITH your therapist? I do not want to get between you and your therapist, or serve as go-between, or take their place in your life, but I can offer a safe sounding board where you can work through the situation and resolve things with your therapist so that your relationship can be restored to its usual good working order. What are your fees? Do you accept insurance? Do you offer a sliding scale? As an email consultant, my fees are laid out on the page titled: DID Email Consultations with Laura from Discussing Dissociation. I do not work through any insurance companies or offer a sliding scale. The price stated on the purchase page is the only price at which email consultations may be obtained. However, there might be special offers available at different times! 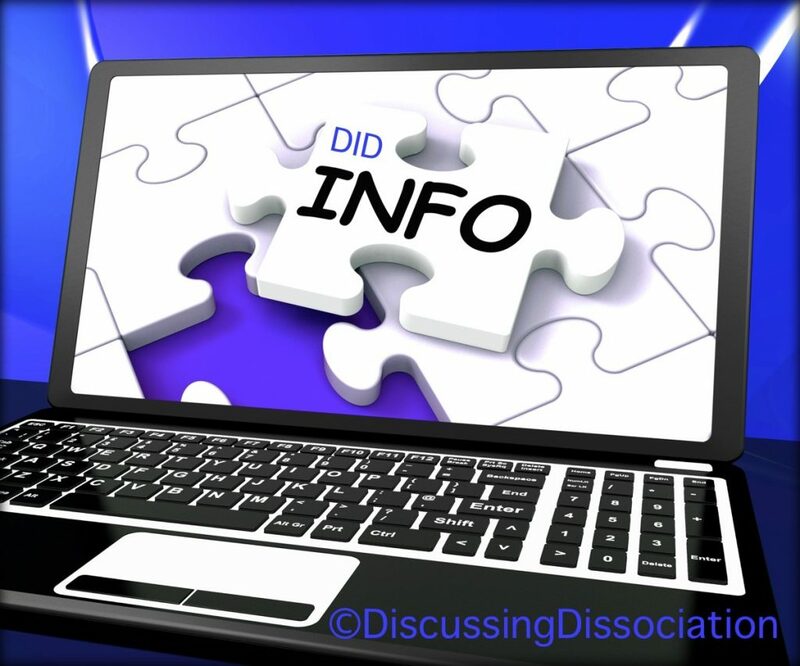 Be sure to subscribe to the Discussing Dissociation emails to keep up to date! Are you available in case of an emergency? Email consultations are not an appropriate way to address your needs in case of an emergency. Emails cannot address emotional crises which need immediate attention, and a long-distance consultant cannot provide the type of support necessary for a crisis situation. Further, email consultations are not intended to be a replacement or a substitute for having a therapist with whom you meet on a regular basis. Email consultations are an adjunct service only. In the case of an emergency, your therapist should be your first point of contact. If your therapist is not available, or if you do not have a local therapist on whom to call, you should contact emergency services or a suicide hotline in your area. Thanks for reading — I hope Laura has answered at least a few of the questions you might have for her. BUT…. I’m sure you have a few more. Feel free to write your questions for Laura below in the Comments section. We’ll both be glad to hear from you. And remember, I’m still here. I’m not going away. I’m not leaving, and I’m not quitting. This is still my writing place !! I’ve brought Laura in to help provide MORE support, MORE expertise, MORE options for you. We can do double the amount of good stuff with two DID therapists here, so.. you know… it’s all about doing double dog more for the overall benefit of the dissociative survivor community. Okay … I know that I have been talking way too much here on the website but I have a few questions to ask you (my apologies if you have already answered some, if not all, of these questions before). What is your perspective on working directly with alters (i.e., do you feel that you should work solely with the host or do you feel that letting alters speak for themselves is okay/desirable/essential)? What is your perspective on little ones (i.e., how do you work with little ones)? What is your perspective on working with more potentially angry and /or destructive alters (i.e., those that are suicidal, wish to harm the host or other alters, etc.)? Are you going to be writing blogs here? Okay, let’s get down to the nitty gritty, some of my insiders are telling me to ask you why they should trust you, will you abandon us, will you stay here for the long haul even when we push you away, is this just a job for you, do you really care about us? I can ramble all day about any number of topics, but it’s helpful to know what people actually want to read about. I prefer to work directly with all the members of a system. Everyone is important, and everyone needs to be heard from. As an email consultant, because I’m not the regular full-time therapist for anyone here, I will never insist on alters speaking to me if they aren’t ready or don’t want to. But as far as whether I’m willing to speak to alters individually? Yes, absolutely. That goes for the kids too. If they want to write to me, then I am very willing to engage with them. However, I encourage at least one of the responsible adults to keep an eye on that. Adult supervision for the little ones is a practice I encourage in general. And that also goes for the angry ones, the suicidal ones, the destructive ones. Anyone and everyone. If they want to write to me, I will read what they have to say and I will respond to them directly as well. I will be writing blog posts here on a semi-regular basis. This is still Kathy’s blog, so most of the posts will be hers, but I will be contributing as well. I can’t say just yet how frequently or infrequently. This is still so new, and in some respects, Kathy and I are still working out the details as we go along. That being said, I have a few more posts in the works, so hopefully you’ll be hearing more from me soon! Honestly, there is no reason at the moment why people should trust me. I just got here, and we don’t know each other yet. Having Kathy’s seal of approval may earn me a chance to prove myself, but I don’t expect more than that just yet. I certainly hope this is for the long haul. I have not accepted this position lightly, and it’s not just a job to me. I’ve known Kathy for a long time, and my being here now is the end product of a lot of talking and dreaming and planning between the two of us, not just recently, but for a very long time. So although it felt surprising and new when it was announced, it wasn’t a decision that either Kathy or I made lightly. We gave it a lot of thought. I take this very seriously, and I’m not going away even if you push me away. Thank you for giving answers to some questions. thanks laura! you sound extremely kind and knowledgeable. we have loved getting help and information from kathy and her blog; you will be an incredible asset. when you saw those of us with DID, the little ones that is, did you get on their level? our little ones have had experiences with therapists who sit in a chair, nod their heads and try to earn the trust of children. that may work with big people, but not the little ones. they are afraid to tell their stories and need love and kindness. what is/was your approach in a session? little ones need hugs sometimes, right?? welcome to DD! we are glad you made the decision to come. Some survivors were abused by organized groups who purposely create and exploit dissociation in their victims. These organized groups use mind control techniques, or programming, as part of their abuse. It’s called programming because the various dissociated parts created or used by the organized group will be systematically and purposefully taught certain things, often through extremely cruel circumstances. Those parts will know only what they were taught. They will never have seen or experienced anything else, and they will blindly obey what they were taught because it is literally all they know. For people who have experienced this kind of abuse, the programming will continue to influence their thoughts, actions, and behavior, sometimes without their awareness, until it is addressed as part of healing. Programming can be a challenge to resolve, not least because a lot of people (therapists included) don’t understand what it is or how to work with it. Sometimes people use the term “programming” more broadly to mean any learned negative message. For example, all abusers have messages that they will repeat over and over as part of the abuse, like “don’t tell or else” or “this is your fault”. These messages become so ingrained that they keep the survivor in their grip even years later, still causing fear and shame until they are addressed and healed. Sometimes people will call these messages “programming”. They are not incorrect to use the word that way, but when I say it, it’s referring to survivors who have been victims of organized abuse and mind control. Programming and mind control is a huge and very complicated subject, but hopefully this gives you a start to understanding it. I have programming issues that have become apparent. Could you explain, very generally, what sort of approaches are used to help to resolve programming issues that come up in therapy? Mine isn’t so much negative messages that have been ingrained, but it seems to be reactions and behaviors to certain triggers in the environment. Yep, I’ll get on a level with whoever I’m talking to. I believe in meeting people where they are, and usually where the kids are is on the floor! The kids need as much of a chance to tell their stories as anyone else in the system, so it’s very important to me to listen to them and talk to them if and when they want to talk to me. I want them to feel safe in doing that. So I guess my most general approach to working with the kids is to do what it takes to create that feeling for them. Usually it means being very gentle, and being honest with them without overburdening them, and letting them get to the hard stuff in their own time. I agree that kids need hugs, and sometimes the situation just seems to demand one. If a kid is in tears or in pain or just in need of the comfort of a safe touch, I will do my best to offer that to them. But I admit, I don’t give a lot of hugs. This has nothing to do with that whole “no physical contact” policy that a lot of therapists have (I don’t have one of those), and it definitely isn’t because the kids have done anything wrong! I don’t give a lot of hugs because it’s not the most natural gesture to me. I am much more of an “arm around the shoulders” person or a “comforting hand on the arm” person. On the face of it, you can say that neither of those things are as good as a hug, but I would counter that the genuineness of the gesture is important and communicates as much as the gesture itself. A hug that feels awkward and tense is not going to be as comforting as an arm around the shoulders that feels warm and natural and safe. All of that being said, my in-person office work was not with DID people. I worked with a lot of young women who had been abused or hurt in some way, but none of them were DID. The DID people I have met in person have been through Kathy, and they were not my clients since I wasn’t an official therapist yet. The thing I did most often with Kathy was to offer “DID 101” support to clients who were just trying to adapt to the diagnosis. As you might recall from your own experience, that can be a really difficult time. People have a lot of questions, and it can create chaos in the system as all the various system members react to being “found out”. I would talk with various system members who presented themselves, try to answer everyone’s questions, soothe their fears and calm their anger, and get them started on the basics of talking to and cooperating with each other. Thank you, Laura, for the explanation. Here is another question. Do all people with DID have little ones? thanks, laura! yes, being authentic and genuine are really what matter most. showing compassion to those of us who struggle, means more than you know. we look forward to hearing more about you and your journey. i am an office manager for several therapists and one of them is a very good friend to us all. it helps to have someone to talk with, that understands did, offers support & encouragement and does so without judgment. sometimes a “second opinion” is helpful, when the chaos takes over. we get to see both sides; clients and therapists and your job is not easy. however, we are truly grateful for therapists! thank you for sharing about “programming”. about 4 years ago we found ourselves working for a lady who was part of an “organized group”. at this point we had already moved away from home- where my abusers were, seeing an incredible therapist, been diagnosed with did and making huge progress in therapy. we met this lady through a mutual “friend” and she immediately knew we had did. we thought we had survived all the abuse by moving away from everyone of our abusers! it was a horrible 3 months and what they accomplished in a short period of time, was absolutely horrific! thankfully and unbeknownst to us, our therapist has expertise in this area, personally and professionally. we could not have survived and gotten back on track without her. i believe god moved us to this place, to begin our journey of healing and blessed us with a therapist who, like you and kathy, is an expert on did. Another question. I hope it is okay to keep asking. With emotional abuse, the offender could be an outside person, most typically someone well -known to the recipient. OR, for trauma survivors with Dissociative Identity Disorder, the emotional abuse can come from an internal system part raging at other internal parts, where the offensive insider is often an internal introject of a outside abuser. Hi, Laura. Do you believe DID can be faked or suggested inappropriately by a therapist? I’ve been dealing with the D.I.D. diagnosis for twenty years, and sometimes I feel because I don’t have every symptom that I’m faking it. What are your thoughts on D.I.D. being misdiagnosed or wrongly suggested? Regarding whether every person with DID has little ones: it might be possible for a dissociative system to have no little ones, but as far as I know, there are always child parts in every DID system. Regarding introjects, that’s a much bigger and more complicated topic, and also a very important one. Like little ones, most DID survivors also have introject parts in their system. This would be a topic that lends itself much better to a post, though. It’s the kind of information that would be helpful to just about everyone reading here! So I hope you won’t mind if I hold off on an in-depth response to this as a comment, with the promise that I will write a blog post addressing it instead. @parts of me – thanks for sharing more of your story. The speed with which programming can take advantage of dissociation, and the way the people who use it can cover their tracks, is both frightening and dangerous. I’m so glad you were fortunate enough to have someone there to help you get back on track! @Missing In Sight – wow, that is a big question! If DID is truly misdiagnosed or wrongly suggested by a therapist, it will become apparent over time. But I don’t think this is a common problem. DID is much more likely to be missed than to be misdiagnosed, and a therapist can’t create DID just because they say someone has it. Every psychiatric disorder is diagnosed on a spectrum. Of the possible presenting symptoms, there will always be a range provided. For example, of fourteen possible symptoms, a person must exhibit at least six. The ranges are provided to allow for how everyone is different. Two people can have the same diagnosis without sharing a single symptom. This includes DID. There is no one way it has to look. I have a couple of questions that I would really appreciate your input on if that is appropriate here. 1. I know that my alters do not wander about at night (our bedroom door is alarmed and I do not know how to disarm it). But, more often than not, in the morning I am exhausted even though I have been seemingly asleep. Kathy has written about how you can think that you are asleep but your insiders are out and about doing things. Is it possible for our insiders to be out and about at night but not necessarily physically out of bed doing things and that is why I am tired? Does that make any sense at all? 2. How does one know if we have met all of our insiders or not? Should we still keep looking for more (as in, is that a necessary part of the healing process)? 4. Is it truly possible to heal and feel a wholeness of self again or is that forever shattered? Should I just be striving for manageable? I know that I will never feel exactly like folks who have not experienced childhood trauma and I am not looking to integrate, but I just would just so like to hear that it is possible to find some peace. I will look forward to the post on introjects. Hi ME+WE – Those are some great questions! 1. Are you asking if internal activity (that is, your insiders doing things like having conversations or meetings or doing their own thing internally while, to all external appearances, the body is asleep) would make you feel tired in the morning? Yes it can. DID consumes a lot of energy, whether insiders are coming and going into the physical body or whether they’re just doing their own activities inside. Are you able to converse with your insiders about what they’re doing during the nighttime hours? Maybe you can work out an agreement for everyone to take some quiet time so the body can be more rested in the morning. It’s probably also worth double checking that the body really is asleep that whole time. I think it’s great that you’ve taken precautions to make sure you are staying safely in your room! But it’s possible that someone is doing something at night that doesn’t involve wandering or anything else unsafe or unreasonable. Night might be their only opportunity to have the time they desire, and it isn’t necessarily something to worry about, but if this is what’s happening, you will want to learn more about what’s going on. Then you can work out an agreement to meet both the needs of the insider(s) responsible and the body’s need for rest. 2. When would I stop looking for new insiders? Well, I don’t think any insider exists in a vacuum. There will always be at least one other insider who knows about them. So, if nobody you know can think of anyone they know that you don’t know, then you can probably stop actively looking for new people. There’s always the possiblity of a surprise, someone who wasn’t ready to have their existence known – internal dynamics can be complicated. But this is my basic rule of thumb. Is it necessary to find everyone? That’s a slightly different question, but I think the answer is yes. It is very necessary. I encourage you to meet the above rule of thumb because until you meet everyone, until you know everyone, you can’t really be sure there is no part of your system that is left in the past. The idea is to bring everyone, the whole system, up to date and learn to work together as a functioning unit, sort of similar to how an office runs. Everyone is an individual, but everyone has to work together. Imagine how it would be if one employee was stuck in the basement in the dark. It might not be general knowledge, but it will still affect the overall group. There’s a secret untold, there’s someone who isn’t being treated fairly. Groups can sense when there’s something off even if they don’t know what it is, and the busy and productive office life will feel like a sham until the cause is addressed. The same holds true for dissociative systems, and that’s why I think it’s necessary to find everyone. Not everyone agrees with me about this. That’s just my take on it. 4. Healing is possible. Peace is possible. I don’t just believe this, I know it for a fact. You don’t have to settle for just managing, and that is certainly not the most you can hope for. Healing is about reaching a place where each person is happier and more at peace with the life they are living, and it can mean as many different things as there are individuals traveling that path. I’m a little more ambivalent about wholeness, although this might be because that word to me implies a singleness that I don’t think is applicable. I focus more on cooperation and the peace of everyone working together. I think it will always feel like more work than what non-DID people have to do. Everything in a system is about negotiation and compromise, giving and getting. But there is a qualitative difference between making everyday decisions as part of a cohesive and cooperative group, and the chaos and dissension of a dissociative system where there is still a lot of healing work to be done. The more of that work you do, the less chaos there is. OH WOW Laura … what an incredible reply!!! Lots for me to think about and work on here. Thank you so much for taking the time to offer such thoughtful insight and suggestions here. I do converse directly with most of my alters — every day in a meditative, group therapy kind of way. I know that that may sound strange but it is how I communicate with my insiders as well as throughout the day if they have something to discuss with me. One of my little ones is a real chatterbox so we do have “time outs” to get some quiet time. Did not think to ask about nighttime and negotiating a “time out when the lights out” agreement. Thanks for that suggestion. Right on target. I will certainly try to discuss this topic with my insiders. Certainly I find living with DID requires an enormous amount of energy and I find that I need a lot of sleep. Not sure if others feel that way. Okay … I get it about finding my insiders. Did not think to ask the ones that I do communicate with about their knowledge of others. Another great suggestion. I have two separate groups of insiders (11 in total). I think that what you have said here is very important for us all but especially for folks just starting to get to know their system. My insiders did not all present at once and some have been shy about talking to me or my T. But, I know that each one of them holds a key to my understanding myself better and healing (and finding the fun ones too). So, I just need to be patient with myself and open to whoever wishes to present to me and whatever my insiders feel I need to know. Hum … patience, openness and kindness … I need to keep reminding myself of those qualities of self and healing. Thank you too for giving me (us) the hope that there is peace and healing to be found. WOW that is a BIG ONE!!! I am getting old enough to be running out of energy to manage things. When I say whole, I do not mean without alters. I mean not shattered in the sense of feeling that I will never get all of the pieces of myself back together not as a singleton (because I do not aspire to integration) but not feeling broken and tossed in the garbage. I believe that I can be whole with parts. My husband calls me his gem with many facets. Well, he is a romantic. But, I certainly would like to feel as solid, and whole as a gem so that I can celebrate my many facets. I totally understand not feeling like you have the energy, at this stage in life, to manage things. It can be overwhelming. And the grief for, what feels, to me, like the loss of what is likely more than half my life, can feel debilitating on some days. I sometimes feel shattered and broken and struggle with feelings of shame and unworthiness. My sense is that the feeling of wholeness comes with love, acceptance and compassion for all of our many facets – even those we have the most trouble with. And acceptance that dissociation is part of our journey and our path here on earth and finding the blessings along the way. You have really capsulized the feelings of being older making this journey. I do look back with some grief that I had to wait until I was 58 years old to truly start to understand myself. And then, I wonder, is knowing the truth now worth it? Do I have the energy to keep on this path to understanding and, hopefully, healing? I feel rather embarrassed and ashamed that it has taken this long for me to see – to truly see. I have to wonder what the heck I was doing all of this time that kept me from full disclosure of who I am and where I have been? I have to wonder if I knew back in my 20s, 30s, 40s what I know now, would my life have been different? I have to wonder if I tried hard enough and worked hard enough in the past to find my truth and understanding? I was in individual therapy for 8 years and 5 years in group therapy (not to mention numerous workshops and day therapy sessions) in my late 20s and early 30s – what the heck was going on there? Why did my alters not let themselves be known then, tell their stories then, help me understand back then? Why am I now just seeing my life unfolding when so much of my life has already come and gone? Why am I thrust down this path of scares, painful truths and nightmares now when I just want to take a break and sit in the stillness and peace that I feel that I have earned after so many years of doing? Okay, I am going through a bit of a dark period right now so please, please forgive me friends. Neo, when you said, “My sense is that the feeling of wholeness comes with love, acceptance and compassion for all of our many facets – even those we have the most trouble with.” I know that you are right. And, on my good days, I can really feel that way and act on it. But right now, this old dog feels like she has been chained up out in the rain for too long to hope any more that the warmth of love, acceptance and compassion will ever bring wholeness to ME+WE. I experience the same feelings of embarrassment and shame that I spent most of my life switching and behaving in ways that I look back on and cringe, totally without a clue. How could I allow that to happen? It seems so obvious now, as the memories come back. But, then, I realize that switching was my normal. It was all I knew. It is how I survived. It developed outside of my awareness and functioned outside of my awareness to protect me. To help me survive and manage to live. It’s a gift, really. I also know, looking back, that I unconsciously chose to live my life in a way that really minimized my switching or in a way that made it safe for my insiders. My social circle was small, I worked mainly from home or went in to work when the office was closed to limit interactions and stress. I homeschooled my kids, so my insiders got lots of playtime and creative activity sort of naturally. My husband loved all of me, from the start. There was a stressful event in my life in my 40’s, that, in many ways, was like re-experiencing my youth. Because of the activities my children were involved in, I stepped into deeper involvement in the community. And I unconsciously chose to be with people who were not safe for me. Personalities very similar to those in my past. The switching started happening more frequently, I was overwhelmed and I became very aware of parts. The walls inside were coming down. I had flashbacks, nightmares, and numerous other internal experiences that led me to seek counseling. It took a number of different tries with therapy before I found someone who explained dissociation and understood. It is a slow process, but I think, for me, it happened later in life because I unknowingly or unconsciously chose to live in a way that hid and protected the system from outsiders. I chose to live in a very limited way where I could function and manage and hide the dissociation. Dissociation is all about hiding, so this makes perfect sense to me. It is a slow process, but I am learning to really love and appreciate my parts and feel genuine gratitude and appreciation. I am learning to making healthier choices about outside activities and people. I am learning communication skills – both internal and external. I am learning who I really am – warts and all. I am learning to grieve the many, many things I lost or never learned or never experienced. And this is no small task. Grieving with dissociation is a much longer, drawn out, complicated process than people realize. Me & We, it’s OK to have hard days. It’s OK to grieve. Grieving is part of reconnecting with parts,and it’s a difficult two steps forward, one step back process. Thank you so much for your very kind and inspiring words. Certainly, you as well Wren. You have both spoken so eloquently and thoughtfully to life as a DIDer later in life (I said that I started the journey at 58 … I am now 4 years down that road btw). I so very much appreciate your insights, heart and companionship here. You are all an important lifeline for me whether we speak directly to one another or just share of ourselves and our experiences. I am going to say more in a separate post because I would really value Laura’s input into this topic. Neo, I feel that same grief over having missed so much of my life, feeling shattered and broken and unworthy. I am slowly learning to cultivate compassion toward myself and my “tribe.” There is so much I have no reference for. So much lost time. But that is not the whole story. I want to put that in all caps and shout it from my roof top while waving a flag. THAT IS NOT THE WHOLE STORY. That is not the sum total of who we are. We are also brave and beautiful and strong. Pain may be part of who I am but I’m learning it doesn’t define me. It’s not the whole story. So I’m learning slowly, yes, but that’s okay. Slow is just fine. I love the image of standing on a rooftop shouting THAT IS NOT THE WHOLE STORY and waving a flag! Made me and my inner rebel smile today, because it is so very empowering to remember that creativity, strength, perseverance and resilience are also part of the story. Just imagine all the flags we can wave!!! Here another old dog…60 years and grief because of all the time spend on understanding my life and past and just now found a therapist who understands, believes in DID and offers the right help. I read you all, but English is not my own language, I’m Dutch, so sorry that I can’t write a lot. Thank you for taking the time to answer questions. It is really helpful. Why is it called a “system” ???? This seems so cold and impersonal. How do I know if I’m the original? Maybe the original is hidden away and I’m just a system part. That sounds horrible. Like auto parts. Thank you again for the help!!! Great questions Wren. The word “system” does sound incredibly cold and impersonal. I really dislike the word “alters” as well. I guess that the professionals need a standardized terminology to communicate with one another and they chose what they thought sounded clinical and neutral. Certainly does not speak to what we with DID feel though. I borrowed Kathy’s terminology of “insiders” to describe my alters and call my system “my gang”. It is nice to personalize your relationship with your inside folks. Hum … I will be very interested to read what Laura says about the “original”. That certainly is an intriguing question. I have not wanted to go there in my thinking! I think “system” is just kind of a default term. To me, it indicates both many different individual parts and the interconnectedness of all those parts. On the other hand, sometimes I use the word “group” instead, and my meaning when I use it is the same. If I think about the context where I choose one word over the other, I probably use the word “system” when I’m thinking more analytically or factually, and the word “group” when I’m thinking about the importance of cooperation and communication and building a group out of the system. There is no easy way to tell if you are the original. As you and your therapist get to know everyone in your group, you should be able to work this out. And you’re right, “just a system part” doesn’t sound like a very desirable thing to be! But you know, there’s really no “just” about it. Everyone in your group is there because they serve a valuable and important role in your survival and your ability to function, and that includes you. You are tremendously important, whether you’re “the original” or not. It is true that dissociation can serves as a protection, to keep some part of the self safe and free from the fear, pain, and helplessness of abuse. I understand how this can make it seem like that one part, the original part who has not experienced or been aware of any of the abuse, is the most important part of all. I mean, it makes sense, right? Well. It does… but it’s not actually true. Let me go back to the example from my last post of the office full of people. Only one person is the president of the office. He or she will be the name everyone recognizes, the photo in the brochure, the face of the company. But does that make the president the only important person, or even the most important person in the office? What about the managers who make sure every department is getting its work done on time? What about the individual employees actually doing the work from day to day? What about the mail room people who make sure the important packages get delivered in and out? If even one person is out sick for the day, that can have a big impact on how much work can get done and affect the whole company. In fact, the person whose absence might be least felt on a day to day basis, ironically, is the president! After all, the president probably isn’t the one doing the work that keeps the company running. It’s the same with “the original self”. She’s important, but no more or less important than any of the other insiders who protect her. Everyone matters! Thank you so much for your answer. That makes sense….and it helps enormously! I am so appreciative of the help that you and Kathy offer here. I think I have lots of insiders. I kind of think of us as a tribe. I like “group” as well. Some of my insiders are so young they have another insider looking after them, but I don’t think we have found all the littlest ones. Does that make sense? Also, I think “tribe” is another good choice for a collective term for your group, especially if it feels so large! For purposes of blog writing, the most widely understood words are always the easiest and best to use, but the nice thing about individual work is that the terms used can be the ones of your choosing, the ones that feel right to you. we want ask you a question but is it alowed? we dont want make you angrey. how can we know someone is safe? we cant ask becase may be they lie to us. its realy scarey when we dont know and it scarey with new people. our big (adult) says we need safe people but we dont know how we tell. There aren’t many places where we can just be us and not have a problem be the focus of the connection. That’s a great idea, especially with so many folks getting active in Comments. I have vented a bit here about the struggles of being an older initiate into the ranks of DIDers. You have so kindly stated that one is never too old to begin the journey and you are correct of course. But, I was wondering if you might offer your insights into the healing process from your years of experience. It is a struggle to not fall into grief for years … heck decades … lost. There is no good time to learn that you are DID and to begin to heal … I know that. But, I am just feeling a lot of grief/pain at the moment that it has taken me to this point in my life to start seeing the real picture of my life. It has hit me hard recently how much I did try when I was younger to find the answer (8 years of individual therapy and 5 years of group therapy in my 20s and 30s) and yet could never get a grasp on what was wrong with me. I feared insanity as I have two aunts who were bipolar and one cousin who is diagnosed schizophrenic. I held myself back from doing things in life because of that family history and my fears for my sanity. So, where is the question here … hum … I guess it is something like – why did it take so long for me to get here? Was I just not working hard enough? Was I just too stupid to see? Am I crazy? Does my family history have anything to do with it? Well, I think hat you have answered part of this already but I feel a deep need to ask again. Maybe, I just need to hear again. Last week I fell down the rabbit’s hole big time and could not find my way back out. I had a “break through” session with my T (her words … I have not processed it yet … more like a big “break down” from my perspective). I should be happy for that I guess (well, in my heart I am). I just feel gut wrenching grief and shame that I have let my little ones suffer the traumas of my childhood. It feels like I have neglected them and allowed them to be tortured by the traumas and continual bad things (including triggers) all of these years. I feel like I have been one of their abusers because I (big me) have not stepped in all of these years to help, to heal, to take on the burden. And so I feel like I am one of the bad guys. Does this make sense Laura as in, is this something that other DIDers feel? How do I reconcile this grief and sadness? Thank you Laura for considering these questions. I am not sure if they make sense or if you feel that you can offer anything here but I am thankful for you listening. I’m glad to see you post. I’ve been hoping you are okay. This is going to be a little long. I’m rather in the same boat, age wise. Therapy in younger years for lots of other stuff and while I did good work and learned about concepts I’d never considered…I always felt there was something more wrong with me, something intrinsically wrong that kept me from fitting in and understanding social rules. Decades lost, yes. So much lost. It’s harder to face that and really sit with it. Coming up on 60 soon enough and I wonder what my life would have been like if I had not been abused, if I had not dissociated, if I had been able to do the work I am doing now but at a much younger age. What if…what if…what if… Oh, that is a very hard path to walk down. I don’t know why it took so long for me to get to the place where I can meet my insiders and talk to a T about them. Perhaps when I was younger I was afraid they would take my son away from me. I mean, I knew there were others around in my head, but I just wouldn’t interact with them and didn’t talk about them. Or if I did it was rare. I honestly thought I had myself fairly well figured out. Earlier therapy gave me tools that I could apply to the inner chaos, even though that chaos was not actually talked about. I thought I was “done enough” and had come to accept that I was a misfit. I did other things. Artwork. Gardening. Then I got really sick and almost died a couple years ago. I ended up in emergency surgery, went into septic shock, organs were shutting down, I had a heart attack. Landed in ICU on a ventilator and was in hospital for some long time. That whole experience triggered massive wave upon wave of memories, emotion, fears, inner craziness. When I finally got home (much to everyone’s surprise as no one thought I was going to make it) I tried to go back to my life. Only I couldn’t. I was not coping. I was not coping at all. I felt like I was a million people and we were ALL falling apart. Finally I decided I needed to go back to therapy, but I honestly did not think it had anything to do with DID. I thought I needed tips on how to deal with stress. So for me that is a little bit about “why now at this age.” I’m sure you have your own reasons for “why now” even if you can’t see them at this moment. If you are able, trust yourself, even a little, that this is the right time for YOU. It may be different than other people…but that’s okay. That is absolutely okay. ME+WE, you are not crazy and you are not stupid. These things come to us when they do. It takes as long as it takes. I, too, wish I could have done something for the littles I am only just now starting to get a peek of. It breaks my heart. Why couldn’t I have kept them safe??? Why didn’t I rescue them? Why didn’t I do for them all the things I wish someone had done for me? So now we have this very anguished emotion and feel like we somehow abandoned our littles, even abused them by ignoring them. If we did…and I say IF in capital letters because I don’t believe that is what it was all about… but even, for the sake of argument…imagine that was the case…then what they need now and what we need now is compassion. We need to give that to our littles and we need to give it to ourselves. We need to sit with the pain in our heart and the pain in their hearts and offer our presence and offer compassion. We need to say to them…and we need to say to ourselves…we did the best we knew how to do at the time. ME+WE, we are not stuck there. We are not there now. We are doing things differently now. I, too, grieve deeply for a life I will never have. I need to put my hand on my heart and just allow that grief to be and sit with it a bit and offer that sorrow my very best compassionate self. Comparing myself to others never seems to be very helpful. I find it more helpful to simply come along side myself, be present with my tribe and my messiness and trust that things are unfolding in just the right way. I can’t say it enough. Give yourself your very best compassion. Give your littles your very best compassion. I think you are doing such amazing work. You have been so encouraging to me and to so many others here. You offer so much gentleness and wisdom – even in the midst of your own pain and messiness. You are a pretty amazing person. You were then and you are now and you will be even more as days go by. Isn’t that what life is about after all? Simply becoming. We are becoming ever more truly our own selves. Remember to have some fun with that if you are able to. Have some ice cream. Paint with finger paints. Jump in some mud puddles. You are doing just fine. Right now is the absolutely perfect time for you to be doing the work you are doing, for the healing that is and will be, for breathing free. There are no words sufficient to the task of expressing my most sincere, heartfelt gratitude for your beautiful response to me. I cried when I read, reread and read again what you so kindly and eloquently gave of yourself, your journey and your incredible kindness and wisdom. I emphasize the fact that I cried when reading your words here because, for me, tears do not come – at all or very rarely in more recent months. Part of my abuse, shut my tears down. So to be able to cry for ME+WE is a treasured gift. From my heart — thank you for that Wren. Well, there is just so much insight and wisdom in what you have written here Wren. I know that others will be moved by what you have so generously given to us all here. Our journeys are unique, but there are so many parallels to our paths. It is so encouraging to know that we are not alone. I know that I am not the only one here who has felt the depth of despair at being alone, unseen and not understood throughout our lives from the silence of our trauma and abuse to finding others who truly know, understand and want to hear about our lives with DID. That is why I have so clung to Kathy’s words and those of DIDers (and now Laura too …. wow … huge bonus round) who have posted here in this safe, nurturing and understanding space. Now that I am posting myself, I have been so encouraged to find kindred spirits, like yourself Wren, who are willing to give of themselves, to share their journeys and insights, and to just be there to hear. Thank you all for this refuge of compassion and understanding. I was so nervous to express my dark side here. Thank you Wren for being so welcoming and understanding of that part of ME+WE. I have so hidden my despair all of my life trying to be the competent one, the helper, the funny one, the one everyone relies on, the doer, etc. I have never been the one who needs help let alone ask for it. Such a huge step forward for me to take and what a perfect place to do it. Thank you all for being so gracious as to offer me this space (especially you Kathy and Laura). Okay, time to get the little ones some ice cream!!! I’m so glad any small bit I can offer is helpful. And I am so glad for all the kindness and wisdom you show to me and others here. Isn’t it amazing how we can be SO THERE for other people…and yet often enough struggle to give to ourselves what we can so freely offer to others. Sometimes the best we can offer ourselves and others is simply our presence. The light bright happy places and the dark brooding places that need some help. All those places and pieces parts have something to share and something we can learn from. And sometimes I think the biggest lesson is that we get to be kind and compassionate to the whole package that is this complicated self. I’m not sure if that makes any sense or not. I learn so much from others here. I learn so much from you. I learn so much from Kathy and Laura. Even in the short time I have been here. It has been transformative in a lot of ways. I suppose I found this place when I was ready for it. I hope you enjoyed the ice cream!! You make wonderful sense Wren! That has got to be our “go to” word in our basket of safety nets — COMPASSION. It really sums up what we need to gift ourselves and others. If we can approach life with compassion, we will be on the right track to, not only our own healing, but living with others in a kind and respectful way. Okay, maybe not our abusers but the world is full of a lot of wonderful folks — we just have to open up our hearts to the possibilities. Oh and yes … ice cream is always a joy to share with my insiders! What encouraging feels your writing Wren! Also,thanks from me..reading this..
And I agree..Me + we, you’re not crazy! we are not crazy.. there can be so many reasons why we are so late knowing we have and have had DID. I worked for years in therapy, but since my mom passed away now 7 years ago the whole trauma is coming , how do you say..above? Now the puzzle pieces are falling..it was not possible when she was living..me, the only child..had to take care of her. It was so hard and so confusing..probably my mom had DID too. I can understand better now. So I think you all had your own reasons why understanding and working with DID is coming in this stage. And I recognize the grief over the lost years. I have no kids because of all this. But I know now I have my Own kids..:). And thats very confusing, difficult and sometimes good. I just started with the sadest little bear and my littles ones are enjoying the story. ( and we learn better English:):) My therapist does not talk directly to them, but only to the host, so they really love it that the story is told to them. Thats a little off topic..sorry. 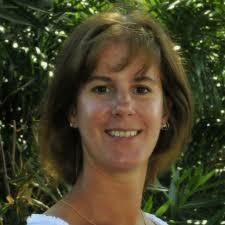 Thanks Laura, for getting to know you and answering this questions, so that we get to knwo each other also. Thanks and good luck here! Thank you for the time you take to read and respond here. It is very much appreciated. I wonder if you have anything to say about spiritual/religious abuse and DID. Some of my “stuff” seems to be in a rather tangled knotted mess around that. Like…don’t speak up, don’t say anything, don’t accuse unless you are PERFECT because God will judge you. Like…males are always right…you must submit to “authority.” Like … it’s the devil in you causing you to think these things… Like… one slip up and off to hell you go…. Like isolation. Like mind control abusive isolation with spiritual/religious overtones. Do you know anything about how trauma is stored in the body? I have so many physical issues. Migraines. Digestive disorders. I’m facing my 4th surgery in 18 months…trying to stay out of a wheelchair. I am blessed to work with a wonderful, mindful physical therapist who is … oh… mindful and accepting. We have talked some about kinetic memory and some about the effect of trauma on our body but I am wondering if you know anything about how emotional or spiritual trauma might be stored in the bodies of people with DID. Hi. Thank you for joining kathy and desiring to help us with did. My question would be if it is possible that my 20 altars are all deceived in believing an abusive past happened. I am aware of very little abuse and cannot believe anything my journals say, my therapist says my altars shared, or what my altars told my husband. I dont recall much at all of my life right up to this moment, clearly I suffer amnesia, diagnosed twice with did and complex ptsd, but i just do not believe any of the altars. I am used to living with them but dont know them individually and struggle wanting to get to know them if i cant trust what they say. What do you think? Is it possible my insiders are all deceived and are believing lies my mind made up? Could anorexia have caused my brain to make things up? Because of what the altars shared, I no longer am in contact with any family member. I feel like an orphan at age 37 with nobody except my husband I love but dont remember marrying. Anything you could share might help me greatly. I feel so alone with my therapist, husband, and insiders saying how horrible my upbringing was when I dont remember.